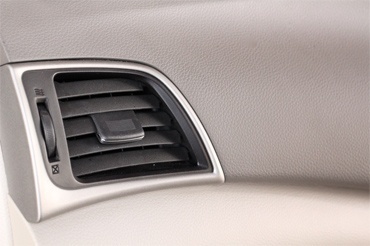 Air Conditioning Repair | Westside Transmission & Automotive Inc. When Los Angeles drivers need air conditioning repair, they count on the team of auto technicians at Westside Transmission and Automotive. With a reputation for excellence both in and out of the garage, you can expect to receive accurate and thorough auto repair, along with kind and courteous customer service. Our auto technicians are ASE or Master-certified and wield the latest and greatest tools and technology; many of which are factory-level. Because we recognize your time is valuable, we will quickly and correctly pinpoint and repair the problem. Our 2-year/24,000-mile warranty is a testament to the quality and reliability of our air conditioning repair. “It started when I had to call AAA to have my car towed and they brought it to Westside Transmission. My starter had broken down and Westside had actually found other things wrong. they went out of their way to find what was wrong, such as, we found out the steering column needed new parts. After that, I discovered they did more than just standard service and after making me feel so comfortable, I went back. They go out of their way to make sure I'm happy and satisfied. They actually rented a car for me (and paid for it) when a part they ordered ended up being defective. A month or two ago, they replaced the timing belt and other worn out parts. I would definitely go back to them again.” -- Brena S.
For an auto repair shop that will have your back, turn to the team at Westside Transmission and Automotive. With a passion for solving even the trickiest of problems on the most finicky of vehicles, you can count on us to get the job done right the first time. Along with our excellence in auto repair and service, we also strive to offer honest and heartfelt communication. Schedule an appointment online for air conditioning repair. We are conveniently located at 2050 Cotner Avenue in Los Angeles, CA 90025.